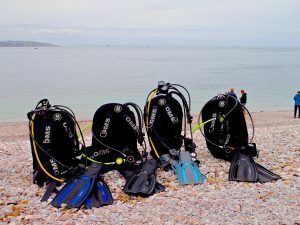 This is the first of a series on local beach diving sites around the south coast, mostly in Devon and Dorset. 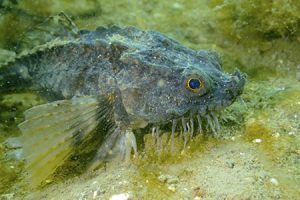 We are so lucky to have such an array of great diving on our doorstep with many sites shallow enough and easy enough for buddy pairs making their first independent dives in open water. We at Scuba Blue may have many years of diving under our belts but Breakwater Beach is a go-to any time we just fancy a dip in the sea. To get to the car park by the beach just stick TQ5 9AF into your satnav. That is the postcode of the wonderful Breakwater Bistro - I am a great believer in the rule that all good dive trips should have excellent dining opportunities built in. The Bistro allows damp divers into the covered area at the front and serves great breakfasts and lunches to sustain the diver (remember - Dive Calories Don't Count). Sadly parking here isn't cheap away from the winter months so make sure you have the right app on your phone or bring plenty of coins. I like to do most shore dives at high tide just to avoid the faff of trudging over exposed beaches but Brixham is dive-able at most states of the tide. Avoid diving if strong winds are from N, NE or E. There is little current unless you are well out from the shore. The beach faces North so navigation is pretty straightforward. 1. Dive along the breakwater wall. You must only do this if there are no fishermen/women around...for obvious reasons. Look out for big crabs and lobsters in the cracks between boulders. Please don't take any, leave them so others can share the delight when they see them too. Anyway, you need to apply for a license to take species including crabs, lobsters and scallops here. Don't risk large fines. 2. Just head out North, bimble around a bit and head back South. 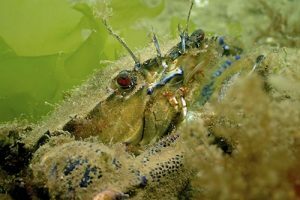 You are likely to pass through a range of habitats including lovely seagrass beds where cuttlefish lay their eggs in season, pipefish hide away and young fish live, seeking protection from larger predators. 3. After heading North from the beach turn East and head around the coastline. Again you will have a number of different habitats available to you depending on the depths you choose. I've even seen conger eel in the rocks around there. The go-to guy for information about diving at Brixham is Baz Drysdale. He can do air fills (call 01803 850444/07527463968) but ask around, he's probably diving off the beach. He also posts most days on the Facebook Page "UK Viz Reports". You can also pick up a boat dive from the breakwater. Warwick Saunders runs a rib out of there and will take small groups out to a whole range of local sites. He is very good and will match the site with the interests and training level of the divers. Call him on 07771 888545. On my last trip, in May 2018, we were fortunate enough to witness the undersea world awakening from winter. 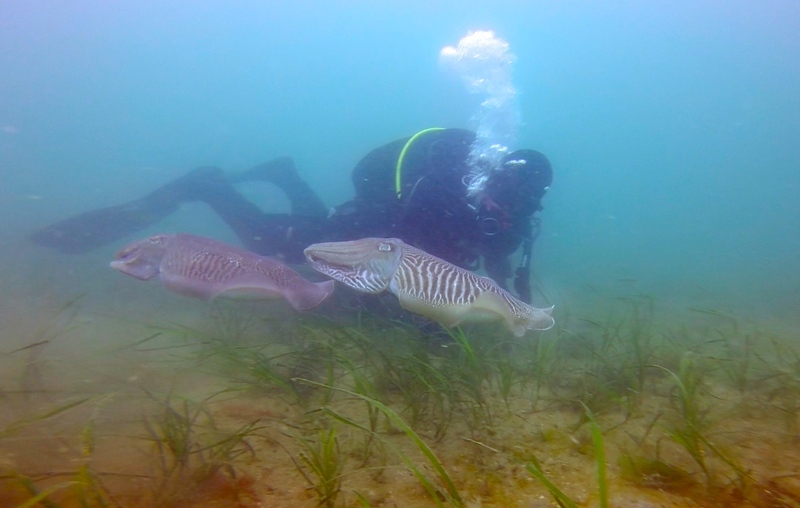 We had mating cuttlefish in the sea grass beds, pipefish and hundreds of sea hares, also intent on reproduction. Tiny, but colourful, nudibranchs wandered slowly on nearly every boulder or rock. A few big wrasse, who had overwintered here, raced around while much smaller fry shoaled in the sea grass, hoping there was protection in numbers. We were there trying out some new gear for Scuba Blue and our team included Tony Reed who, besides being a top bloke and ace diver, is a great photographer. All the pictures on this page are his. Go over to check out his website at http://cheapandcheerful.blog and look out for his photography workshops with Scuba Blue.